The prevailing views on millennials are well-known, having been repeated frequently by the popular media and echoed by “back in my day” parents. Millennials are narcissistic. Millennials are entitled and don’t want to pay their dues. Millennials need hand-holding at work and are high-maintenance. 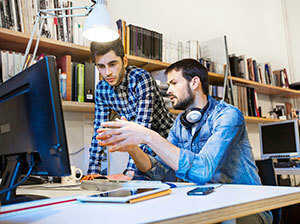 Millennials are job-hoppers. However, a new book by Jessica McManus Warnell, an associate teaching professor in the Department of Management at the University of Notre Dame’s Mendoza College of Business, paints a different picture. 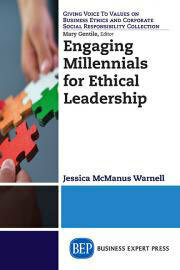 In “Engaging Millennials for Ethical Leadership: What Works for Young Professionals and Their Managers,” McManus addresses many of the stereotypes about millennials and offers strategies for optimizing their performance in the workplace. Her research revealed that contrary to the stereotypes, millennials were willing to work hard when engaged. They are deeply committed to social and environmental issues and they seek purpose and meaning at work. They want connections with authority at work. And one of the more salient characteristics of millennials is their fluency with technology. McManus stresses that sheer numbers alone make it imperative that businesses and corporations have an accurate understanding of millennials and their values. “By 2020, half of America’s workforce will be millennials, and by 2050 they will represent 75 percent of the global workforce,” McManus said. The popular image of millennials didn’t resonate with what McManus was witnessing from the millennials in her classes and hearing from corporate partners. In order to better understand the group, she interviewed a group of 22 senior business students and surveyed 138 more business sophomores, juniors and seniors at a top U.S. business school to learn from their perceptions and aspirations. Practices at top companies were also explored. McManus emphasizes companies like Deloitte, Citibank, GE, PricewaterhouseCoopers and many others are taking specific steps to engage talented millennials toward organizational success. McManus taught the first dedicated undergraduate Giving Voice to Values (GVV) course offered anywhere beginning in 2008, developed in collaboration with GVV founder Mary C. Gentile. She also designed and has taught a popular undergraduate course titled “Managing and Millennials” since 2012. She teaches more than 500 undergraduate students each year. Her teaching, research and presentations explore business ethics, sustainable business, values-based decision making and managing millennials toward effective, ethical leadership. “Engaging Millennials for Ethical Leadership: What Works for Young Professionals and Their Managers” is available from Business Expert Press. Originally published by William G. Gilroy at news.nd.edu on April 14, 2015.